Having a live band play at your wedding is the perfect way to create ambiance - and to get your guests to dance! A good wedding singer or band will adjust their playlist based on the response they get from the audience. 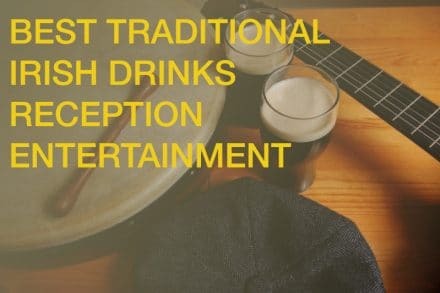 Highly seasoned bands that can deliver any genre you can think of are easy to find and compare, so you can complete your Wedding Day with Ireland's finest notes. Treat your guests to one of the most carefully chosen Wedding Bands in Ireland, and dance the night away with Dublin's top singers playing 100% live for your Special Day! Our wedding bands list is complete with Irish musical groups sorted by availability, genre, cost, and size. Some bands can start as low as 1 or 3 members, and go up to 12 or more depending on your needs. Also, since it's very hard to figure out whether a band is worth your time and money, we offer you two ways to ensure that you are getting only the most energetic and highly skilled performers for your wedding night. How can I check a wedding band before booking? For all the bands in our Wedding Bands Directory you can choose from a number of promo videos to get a taste of what they offer. 2) See Your Wedding Band in the Flesh! Every week we organise FREE Viewing Nights with out wedding bands, in Dublin and other areas of Ireland such as Cork and Donegal. You can come in for free and spend the night listening to them. If you enjoy what you hear and think their music would bring a great amount of fun to your ceremony, you can book them on the spot! To visit our Irish Wedding Bands directory and enjoy the best selection of ceremony musicians available nationwide click here.